A BIG THANK YOU to all who entered the New England Grange Needlework contests and the CT State Baking, Craft and Decorate a Basket contests. The entries were beautiful and very imaginative. Keep up the good work for next year. I have the list of winners here and the ribbons and prize money have been picked up by your Pomona CWA chairman or someone from your Pomona. No waiting until October this year. 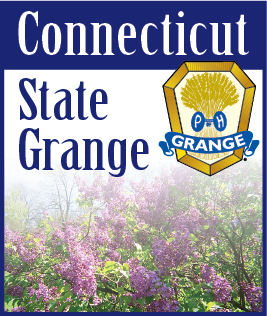 The winners of the NE Needlework contests will be sent to the BIG E for judging and then on to the National Grange Session for a showcase of excellence for each state. If you are one of the first place winners and this would be a hardship not to receive your entry until the end of November, please let me or your Pomona chairman know.